REDUCED TO CLEAR -- ONLY A FEW LEFT!!!! Please note - Clearance items are only available online. Adaptor for joining the Xmart disc lock/footpeg to the bike. 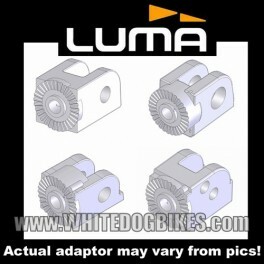 The XMART motorcycle disc lock is a revolutionary new lock from Luma. The disc lock doubles as a removable footpeg which stops the rider from driving the motorcycle with the lock still attached. 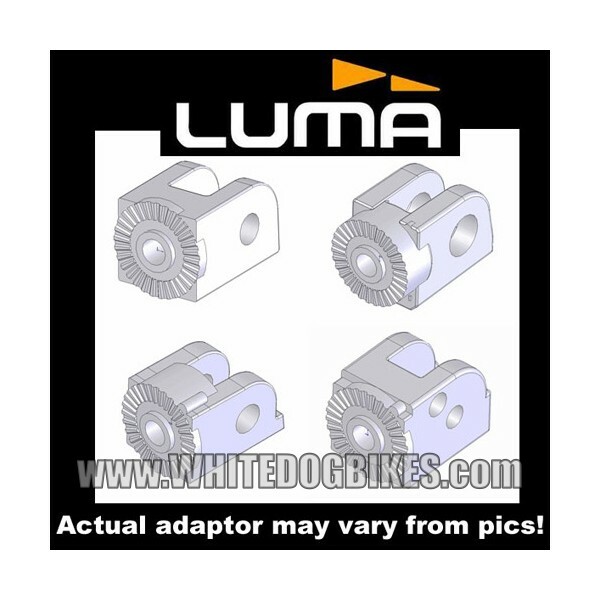 This listing is for 1 Xmart foot peg adapter (it does not come with the disc lock!). Fitment information below, please check your bike against the info provided and select the appropriate adaptor from the drop down list. Please note: This item weighs (approx) 0.23kg.